Showing results for tags 'lupo'. I'm in abit of a pickle I'm currently undergoing loads of research on doing a 1.8t conversion in my 1.4 arosa MK1 but havent found anything to really help me as seem to be done all on lupos I know there pretty much the same has anyone here done his conversion themselves I know that I need: shorter L/H driveshaft with 100mm inner Standard R/H driveshaft with 100mm inner Bigger breaks probably from gti lupo Smaller engine fan Conversion engine and gearbox mount (found someone who sells them on eBay for £250) Wiring loom needs either changing or soldering engine bay side idk what way is easiest (idk what the fxck I'm doing with the loom all help will be greatly appreciated) Pedal box for throttle as 1.8t are fly by wire Different clutch pedal What Im not sure about Do I use the same fuel pump? Do I need to cut the chassis ? Do I need to weld anything ? What do I do about exhaust is that something I'm going to have to get custom made ? What do I do about the immobilizer from the 1.8t engine, do I need to change key barrel etc ? If I have missed anything or got anything wrong please let me know as don't want to come into any problems during my conversion Thanks for reading All help will be greatly appreciated Tyler. So after owning my Lupo for just under a month, and after reading quite a few build threads, i have decided to do my own. 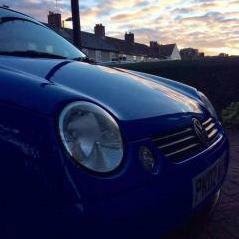 She is a 02 reg, soft blue, 1.4 16v Lupo. My first car. So since owning her, shes been cleaned inside and out around 4 times and i havent had her a month yet! i mean... who likes to own a dirty car anyway? Any way, apart from all the cleaning i've done, i managed to take our the drivers side air vent, the seat handles and the binnacle and paint them gloss black. The binnacle didnt turn out as good as i expected because the lacquer started to run down and dried like it, but at least its gloss black now? primer... painted and fitted again... when i got the car, it only came with a passenger side seat handle, so i set to and ordered 2 brand new ones. found them on amazon if anyone else needs some? i also decided to remove and paint the covers that they slot into on the actual seat... and finally... i didnt want just gloss black air vents i decided to add a bit of a sparkle to it and added blue glitter! and fitted... heres one after i finished cleaning! i also got this through the post the other day, just need to remove my door cards then i can re trim them! sorry for such a long post, i'll be quiet for a bit now! what do you guys think? Does the lupo share the same suspension set up with any other cars, apart from the arosa? lupo not holding revs and cutting out!!! right, so i have a lupo 1.4 sport and recently it has had issues with the idle. basicly it wont hold its revs and it cuts out making it pretty undrivable. I have replaced the battery and the throttle body as i thought that would be the solution. but it still wont run. the car is also running very ritch. The o2 sensor on my exhaust i faulty so im wondering if that could be a cause. 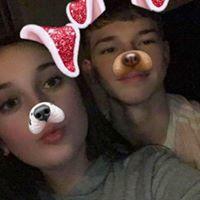 any help would be appriciated. Howzit guys, as per my "Introduce Yourself" thread, I am Jonno from Johannesburg, South Africa. 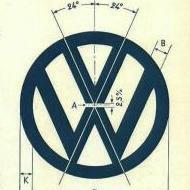 I am a VW Club of South Africa commitee member, I run our advertising section as well as an event co-ordinator. I am in the process of planning a huge VW event where we will be doing Track racing, Hill climb, elimination drags, skidpan, and possibly gymkhana too. It is going to be massive! I received the car of my dreams on Sunday the 15th of March, the same day I test drove it. On that Monday I already ordered a new windscreen that a mate of mine brought back with him from Botswana (as no Lupo parts are available in South Africa) Tuesday 17th of March another mate went and picked up my NATIS, took the car for Road worthy, got the License disc and got my GP (Gauteng Province) plates. When I bought the car it still had UK plates on. If I am not mistaken it is the only SA registered one in South Africa, there is only 5 that I know of in the country. 3 of them I have seen in person. I am so in love with this car, only fault is the windscreen else it is 100%, in amazing condition, can’t believe a 13 year old car has been so well looked after, by a woman. There is too many features to list so I will just post a picture of the ad. Below is a link that was the first info I ever had on the car, made me want one so bad. https://www.dieselnet.com/news/2000/07vw.php Would give my left nut for an Arosa, but I’m very happy with my cabbie, maybe in the future I can do something similar to the below link http://www.darksidedevelopments.co.uk/arosa-mk2-2-0-16v-bkd/ Anyways onto what everyone wants to see, Actual Pictures of the car My 2002 VW Lupo 1.4 TDI !! !